There are 4 MODES to dispense water from the SpaTap. 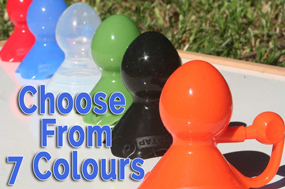 Theses are activated by the type of bottle you have selected and how you decide to dispense the water from the SpaTap. 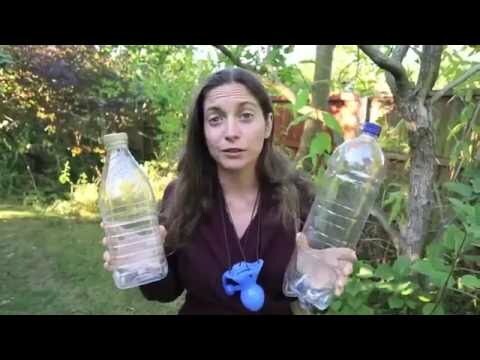 Different bottles made of different materials can dispense water slightly differently. For best results decide how much water is required for the article you intend to wash. For example, do you need a handwash before you eat or are you washing the hands of 900 children before lunch at an outdoor activities centre? Both situations require handwashing but they would require different bottles and water flow MODES. For best results, we suggest for a personal handwash use a small 1-litre firm bottle with MINIMAL MODE, whereas for hand washing 900 children use a 15-litre firm bottle in FREE FLOW MODE. 1) MINIMAL MODE > Gently Squeeze the SPaTap with the bung in. This will release the smallest amount of water depending on the pressure you apply to the SpaTap. This mode has been likened to milking a cow. It is possible to dispense between 5ml to 50ml with one hand. 2) FREE FLOW MODE> Remove the bung for the air inlet valve. This will provide a constant stream of water, on average a 1-litre bottle will dispense water over 10 minutes. 3) PUMP MODE> Remove the bung and squeeze the SpaTap, when done correctly a huge jet of water will spray out of the air inlet valve. This is perfect for filling a cup or wetting hair whilst having a shower. This MODE will drench anything quickly, yet use only the smallest amount of water. 4) POWER SHOWER> Use a soft plastic or a collapsible bottle, either leave the bung in or out, it doesn’t matter in this MODE because the water will start to flow the moment the bottle is inverted. The water stop flowing when you turn the bottle the right way up again. It is normal for a soft plastic bottle to implode and scrunch up as it forces the water out under a higher and faster pressure. Firm plastic, glass or metal bottles will be useful for using the tap and eco shower mode. Soft Plastic 2-litre bottles are ideal for power showers because they implode and force a higher pressure of water out of the SpaTap, ideal for showering when water is abundant. SpaTap is designed to fit over as many different bottles as possible, but it would be impossible for us to guarantee that every bottle was going to react in the same way in the same situation, especially if the bottle is left out in massive variations of temperature or weather. Different bottles will be used for different purposes, try as many as you can, upcycle and cycle as many as you can.